Panathinaikos Athens has been close to making its return to the Turkish Airlines EuroLeague Final Four for a few years, but has fallen short. It had the home-court advantage in each of its last two playoff series and the Greens' goal will be getting back to European basketball's big event for the first time since 2012. Here are some key dates on that road for Panathinaikos. The Greens and Reds face each other at least half a dozen times every season, but that does not mean that each and every game between Panathinaikos and Olympiacos Piraeus is anything less than special. The two sides traded road wins in the EuroLeague last season, which adds more spice to this intense showdown. Olympiacos has won three of its five EuroLeague games in Athens, including the last two. 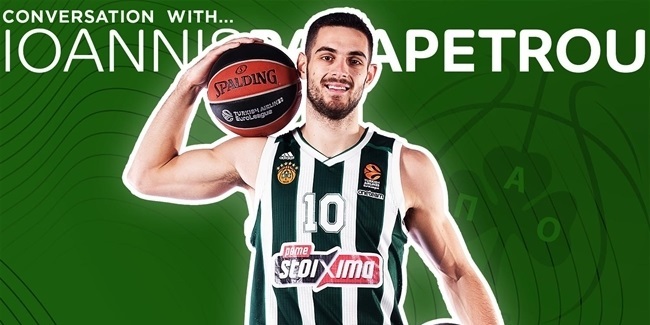 New Panathinaikos recruit Ioannis Papapetrou will play against his former Olympiacos teammates for the first time. Expect a great atmosphere in a critical game for both; nobody wants to lose the Athens Derby! Few coaches have ever had as big an impact on a European basketball club as Zeljko Obradovic did at Panathinaikos. He coached the Greens for 13 seasons in which they won five EuroLeague titles, 11 Greek League crowns and lifted the Greek Cup seven times. That is 23 major trophies in 13 years. Since Obradovic joined Fenerbahce Istanbul, his team is 2-0 in playoff action in Athens and 0-3 in the regular season. One thing is for certain; Panathinaikos fans have never forgotten his contributions to the team and always welcome Coach Obradovic back like royalty. Panathinaikos coach Xavi Pascual grew up as an FC Barcelona fan and traveled to some of the team's Final Four appearances in the 1990s. He eventually became Barcelona's head coach and led his team to the EuroLeague title in 2010 and in doing so became the first Spanish coach to lift the trophy in three decades. In Round 18, Pascual returns to Barcelona to face his former team and looks for his first road win at Palau Blaugrana; in his last two visits, the Greens lost by a combined margin of 42 points. Panathinaikos visits CSKA Moscow late in the regular season in what already is a classic EuroLeague showdown. These teams faced each other in both the 2007 and 2009 championship games, with Panathinaikos prevailing each time. Panathinaikos has not won in Moscow since 2010 and lost playoff series against the Russian powerhouse in 2013 and 2015. It could be a pivotal game for either – or both – teams in the fight to get to the playoffs or for seedings. This game will be Panathinaikos's third consecutive on the road, too. After a strong 2017-18 regular season, Real Madrid stopped Panathinaikos in its tracks, downing the Greens 1-3 in the playoffs. 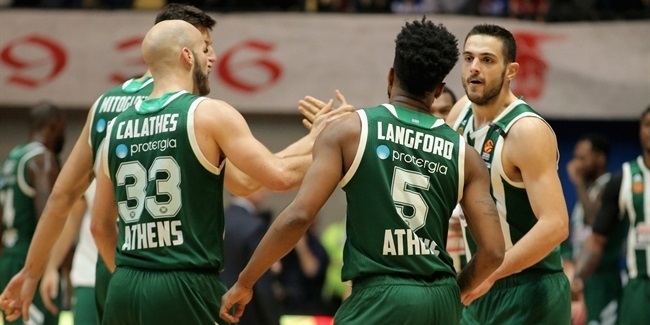 With only one other game left to play in the regular season, Panathinaikos will host the reigning EuroLeague champion at Olympic Sports Center almost a year after its critical playoffs loss against Los Blancos. It will be a great moment to see in what shape both teams are in right before the playoffs. The Panathinaikos crowd never needs extra motivation, but this game was marked in red the minute the calendar was released.